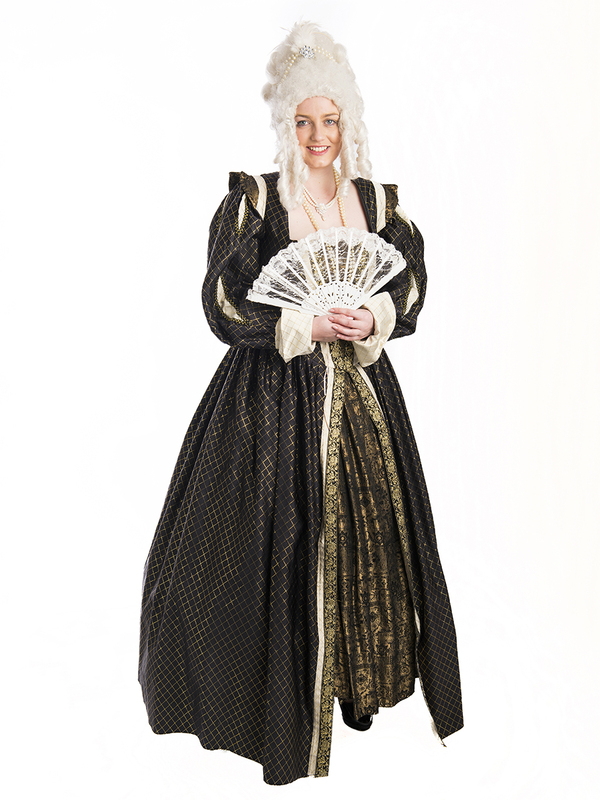 Go off to the ball in this elegant Queen Marie costume for hire. Perfect for a Royal, International or French theme event as the famous Marie Antoinette. See also our mens 18th century costumes to complete your couple costume.